Hey. QGCon just ended and it was a blast. I'll post more thoughts later. 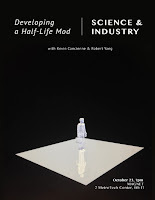 "Indie-game developers, Kevin Cancienne and Peter Ginsberg, will talk about their experiences developing Science and Industry, a Half-Life mod. Hear about the design process of this humorous and innovative team-based multiplayer game and the community that helped bring it together. 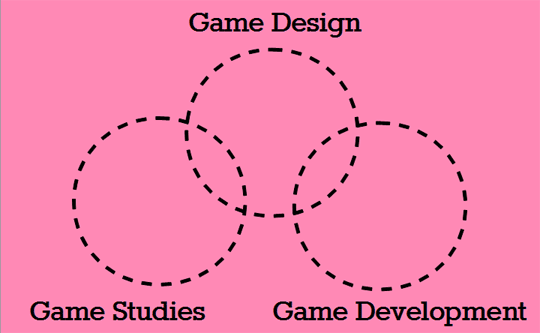 Robert Yang, first-person shooter scholar and developer, will be leading a question and answer session after the lecture." RSVP for the event; free and open to public.